Pest Control & Termite Extermination in New Orleans | Pied Piper Pest Control Inc.
We value the safety of your family, your property and our environment. Pied Piper offers a wide range of pest control and termite control services to provide solutions for the pests that invade your property. Your pets are important to you...and us. Welcome to Pied Piper Pest Control, Inc. Schedule today and live with peace of mind today! Ant and Roach Control, Bed Bug Control, Bird and Bat Control, Flea & Tick Control, Rodent Control, Spider Control, Wildlife Control. 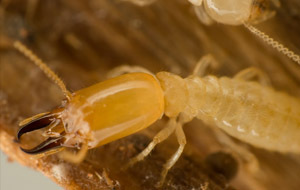 Termidor liquid ground treatments with a State Contract that has the option of being renewed annually for treating subterranean termites such as the Fomossan Termite. 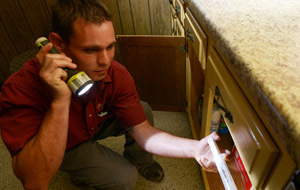 Pied Piper Pest Control, Inc., is dedicated to supplying quality services to our customers. Our philosophy is to achieve this objective by providing the highest level of business integrity, professionalism in customer service, to ensure the ongoing training and education of all our technicians, and to treat pest and termite problems with quality products. Pied Piper is proud to offer deals and steals to help you. A pest-free home is as important to us as it is to you. Hire us year round, and we'll make it our job to keep the pests away. INCLUDES AN EXTENSIVE INITIAL SERVICE, FOLLOW-UP SERVICE AND QUARTERLY PEST CONTROL SERVICE, GUARANTEED FREE CALL BACKS FOR ANY OF THE COVERED PESTS (ROACHES, ANTS, SPIDERS, RATS AND MICE) . THIS OFFER IS NOT TO BE COMBINED WITH ANY OTHER OFFER. Pest control protection and maintenance for Louisiana's homes and businesses. We're Excited to Announce that We're One of the Few, the Proud, a New Certified Sentricon Specialist! Excellent service, great staff, truly care for their customers and a great price come together to make Pied Piper stand out in their field. - James B. We believe pest control service should be easy and convienent. Customers can look at their account, pay their bills and much more.